Liquid polish in an 8oz. bottle. Great for playfield cleaning/polishing on old games or new. Cleans and polishes and leaves a great shine behind. Safe for use on clearcoated or non-clearcoated playfields, Mylar, and all plastic parts. Removes light scuffs/scratches from plastic parts. 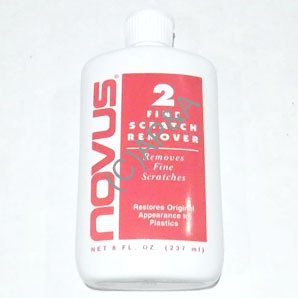 We recommend cleaning your playfield with Novus #2 at least twice a year, and follow-up with a coat of protective wax for additional shine and protection. Replaces Data East part # 675-0003-01.